It’s November already - ‘tis the season to start thinking about gifts for the family. Traditionally I am a very late shopper, and I have been known to make a car trip or two around town on Christmas Eve, but that doesn't mean you have to make the same mistakes that I do. In fact, if you’re reading a gift guide in November looking for kids gift ideas, you most certainly are on the right track to avoid my annual fate. Like all of our recommendations on Dad Suggests, the items on this list are all things that my family has loved. We aren’t glancing over Black Friday inserts and listing things we’ve never heard of because of the buzz or advertising force behind it. These are all personal recommendations that caught the attention and sparked the imagination of our own children (currently ages 6 and 2). And, to be perfectly honest, they all blow me away with their quality too. Many of the items on this list are geared towards my son’s age range - roughly 5-10 years old. Books of course are good for any age, and many of the toys are things I enjoy just as much as they do - and could certainly be enjoyed by older kids. We also included a special category for little ones with our 2-year-old daughter in mind. The categories we have for you are big ticket items, books, board games, stocking stuffers, and gifts for little ones - and we picked our very favorite 3 for each category. As always we are particularly drawn towards items that spark the imagination and inspire creativity. It was definitely not easy to narrow down, but we hope that the organization and focus on high quality will help make some of your holiday shopping decisions a little bit easier. Good luck on your present quest this year and happy holidays! Disclosure: Some of the links in this post are affiliate links. These links will lead you to view the items' listings on Amazon.com. Any purchases you decide to make earn a small commission for us at no extra cost to you. All recommendations and opinions are our own and come from personal experience. This post is not sponsored. Are you still trying to brainstorm an amazing big gift for the big day? Here are three big ideas that can honestly be enjoyed by the whole family, and that absolutely boggle our minds with their awesomeness. I can’t recommend Osmo enough. If you’ve never heard of it, you stick an iPad in the dock, put the magic mirror doohickey over the camera and prepare to have your mind blown. At that point you use actual manipulatives on the floor or table to play a wide array of games. The Genius Kit comes with kits for the following games: Tangrams, Words, & Numbers. And you can also download for free other games like Newton and Masterpiece. Tangrams is far and away my son’s favorite game, and the first one we played. Once we fired it up for the first time, we laid the tangram tiles out in front of us. The iPad screen showed us a picture of a polygonal cat, and we needed to figure out how to put the physical pieces together on the ground to build the picture. As we built, the iPad KNEW how we were doing. Shapes lit up on the screen as we found the right place for them on the ground. I like to consider myself pretty tech savvy and I’ve seen a lot of cool things. But this toy absolutely blew our minds. My 6-year-old son is also at the perfect age to take advantage of the math and literacy games as well. For us, purchasing this toy coincided perfectly with learning to read and playing with simple math. My son has a lot of fun trying to find the right letters to spell words and place them on the floor in front of him faster than his computer opponents. 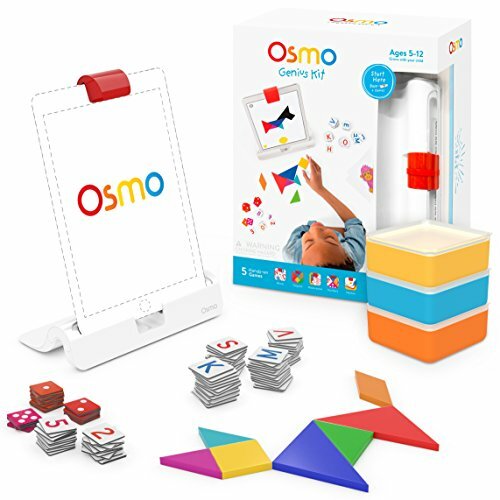 Osmo is constantly updating and offering new games for sale to add value to your initial purchase. There’s a wide range of difficulty and game types to challenge kids of different ages and skills. I’m pretty excited that we found this one because it’s really a blast. 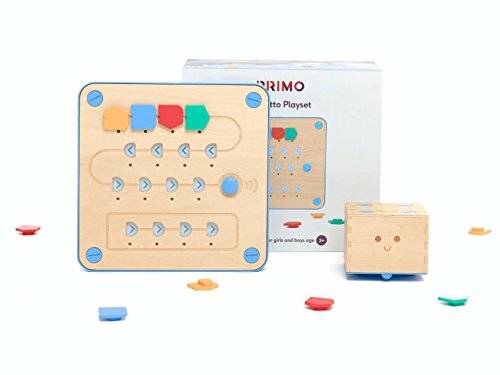 Cubetto is a coding robot by Primo Toys that has the most amazing aesthetic and the coolest claim to fame around - there are no screens involved in the coding process. You tell this little guy what to do with your wooden coding board and colorful coding blocks. Just stick in a line of code with the blocks - such as forward, forward, left, forward - push the blue button, and watch Cubetto follow your coding commands! Cubetto also has a wide selection of beautiful play mats available. They all have their own themes (like oceans or outerspace) - and they each come with their own stories and challenges. Some of the very coolest things to do with Cubetto, however, require a little bit of creativity. For instance, there’s a coloring pack available that lets Cubetto draw with markers for you. And maybe the coolest idea of all - tape off your own maze and navigate Cubetto from start to finish. We’ve definitely loved our little wooden robot. Some of my very best Christmas memories included the latest Nintendo console under the tree. I have a very fond memory of my brother getting the N64 and playing Mario 64 for a very long time. I simply couldn’t exclude the Nintendo Switch from this list. That’s because it’s an amazing product that we get a lot of enjoyment out of as a family. 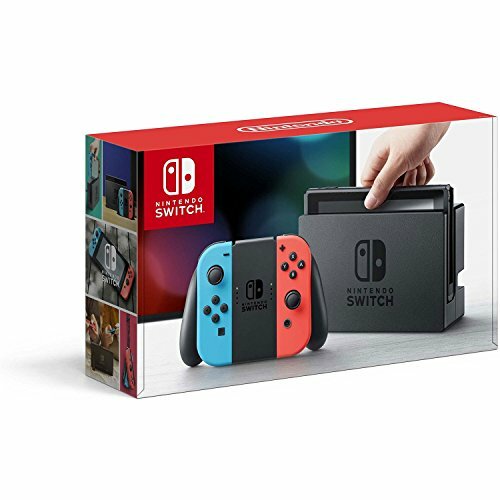 If you don’t already own Nintendo’s latest gaming console, it’s definitely worth thinking about as the family’s big present this year. In case you weren’t aware, the Switch’s biggest selling point is that it can be taken on the go as a handheld, and then very quickly and easily be placed into the dock to display on your TV as a home console as well. If you want to see how innovative and creative Nintendo is being with the Switch - just check out the imaginative cardboard creations of Nintendo Labo. And, if you want to make sure you have something the whole family can do together, make sure to pick up the latest iteration of the best video board game ever - Super Mario Party. My wife and I have spent a lot of time with our son playing Mario Odyssey, the best Mario game since Mario 64 - the very game I have all those old fond Christmas memories of. In my opinion, Nintendo is still the best at making video games, and I love sharing them with my family. Books are certainly a gift that can be enjoyed at any age. To celebrate the season, we chose three Christmasy books we’re in love with that every family should have on their shelf. 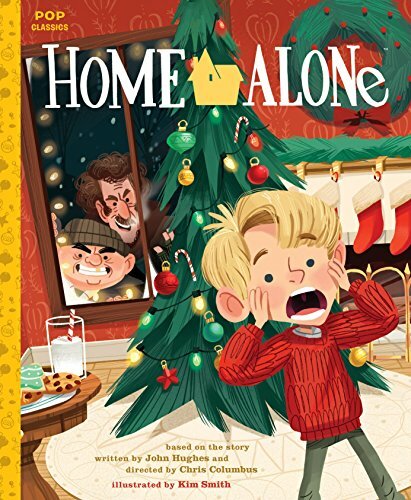 Home Alone made the list of the 25 movies I’m most excited to show my kids because we read this book two Christmases ago, and my son became absolutely obsessed with setting booby traps. Next thing I know we were constantly tying strings to laundry baskets and setting Mom’s favorite food underneath. That’s how I know the movie is going to blow him away. This book by Kim Smith is truly a remarkable adaptation of the film and the perfect way to introduce your little ones to the classic story. The illustrations are fantastic - my son particularly enjoys the spread of Kevin’s battle plan map. And, of course, Home Alone is just as surprisingly sweet as you remember. From the lonely, scary old man next door reuniting with his family to Kevin exclaiming that all he wants for his Christmas is his family back - it all serves to remind you that Home Alone is an excellent Christmas story. 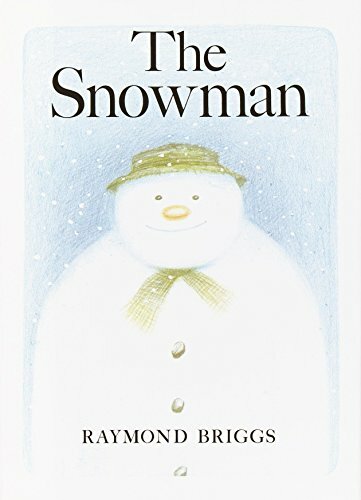 If you don't own a copy of The Snowman by Raymond Briggs, you simply owe it to yourself and your kids to pick one up this season. The Snowman definitely battles it out with greats like Tuesday and Good Dog, Carl for my very favorite wordless picture book of all time. It’s a wonderful celebration of the magic of childhood and wintertime, and reading it really makes you run the gamut of emotions. At this point it’s hard for me to separate the book from the unbelievably fantastic short film. At the time of writing it’s available to stream with Amazon Prime. Once again, if you’ve never seen it, please watch it with your little ones this year! Just like the book, it’s a magical journey that makes me feel that pure childhood Christmas happiness - with the added bonus of the most beautiful music. Our local symphony plays along with the film every year for an amazing show, and all of these wonderful things combined make The Snowman a special part of Christmas for us. 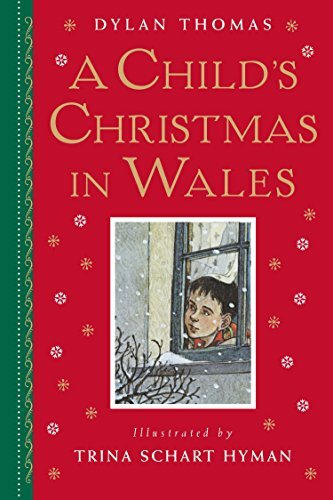 A Child’s Christmas in Wales is a story that has been a part of Christmas for me ever since I can remember. I particularly have very fond memories of the film adaptation growing up. In fact, I think of it just as fondly as the classic A Christmas Story. When my son was born, a good friend of the family gave us a copy of the picture book for his very first Christmas. And I’ve read this special story out loud every Christmas since. The highlight of Christmas is spending time with the family. Plan ahead and strategically gift board games like these to encourage gathering around a table and playing together. In theory, a great way to know if something makes for a good recommendation is to consider what you yourself have given as gifts recently. 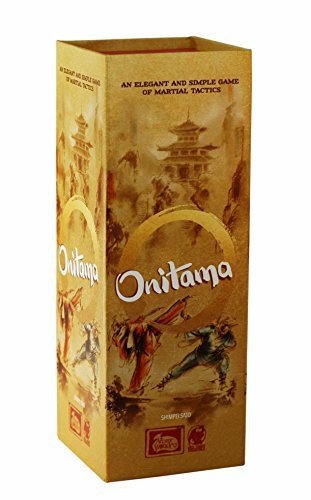 As a lover of chess, I’m in love with the aesthetics and gameplay of Onitama, and it’s recently the first thing that has popped into my mind for recent birthday party gifts. Every kid around my son’s age (6) that I’ve opened up Onitama around has gravitated towards the board and wanted to play. It’s a beautiful game and a very attractive setup, and I think that’s a big part of what draws people in. Onitama is also a very simple game to learn, but it’s ever-changing, and strategy can grow along with your skill - just like chess. The box art describes the game as “elegant”, and that’s very fitting. Cooperative games are perfect choices for all of the family time you’ll have this holiday season. Karuba Junior is certainly one of our very favorite games right now. Other than being a cooperative game, there's a LOT we love about this one. Perhaps best of all is that our 2-year-old can totally and completely take part. That’s a big deal for us, and if you play games and have a 2-year-old, you know what I mean. 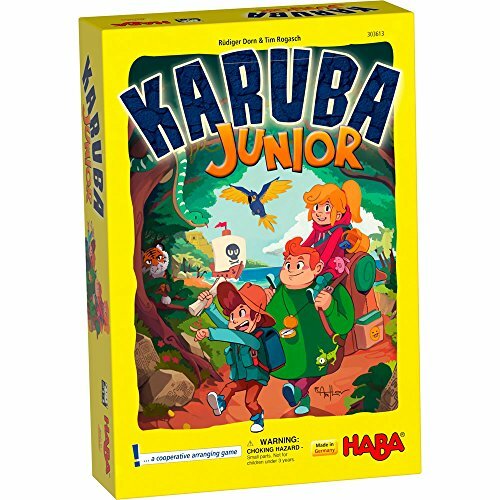 In Karuba Junior you draw tiles and hope to find the three treasure chests before the arrival of the pirates. You might draw a pirate card or a tiger card as well, and if you draw a path card you need to place it strategically. The game plays quickly and we always go through several rounds when we get it out. And I just love the outstanding quality of the wooden pieces that you can expect from HABA. 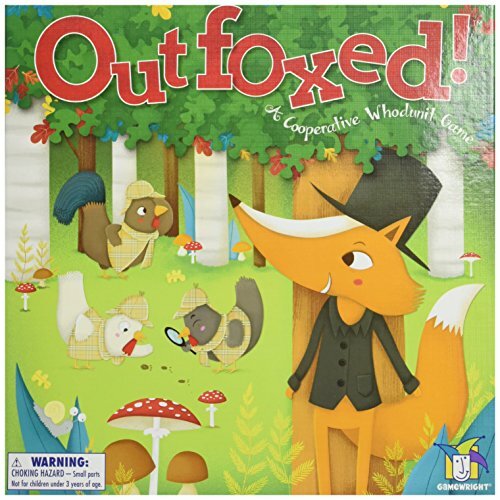 When we played Outfoxed! for the first time, my son asked to play it again and again. I can’t even remember how many times we played it, and I’ve never seen anything quite like that. When I laid out all of our favorite games, he chose Outfoxed! as his very favorite. With that kind of recommendation, how could I leave it off of this year’s gift guide! One of the suspicious foxes has stolen a pot pie, and it’s up to us to figure out which one of them is the culprit. Cooperatively you reveal new suspects and then eliminate them by revealing clues (like the thief has a pocket watch). The way the game reveals to you these clues is what my son loves the most. To reveal clues you place the cards against a secret contraption that has the suspect card inside. Eliminate all the suspects and announce the culprit before the fox escapes and everybody wins! These are all smaller items - perfect for hiding in a stocking - but they made a big impact on us. 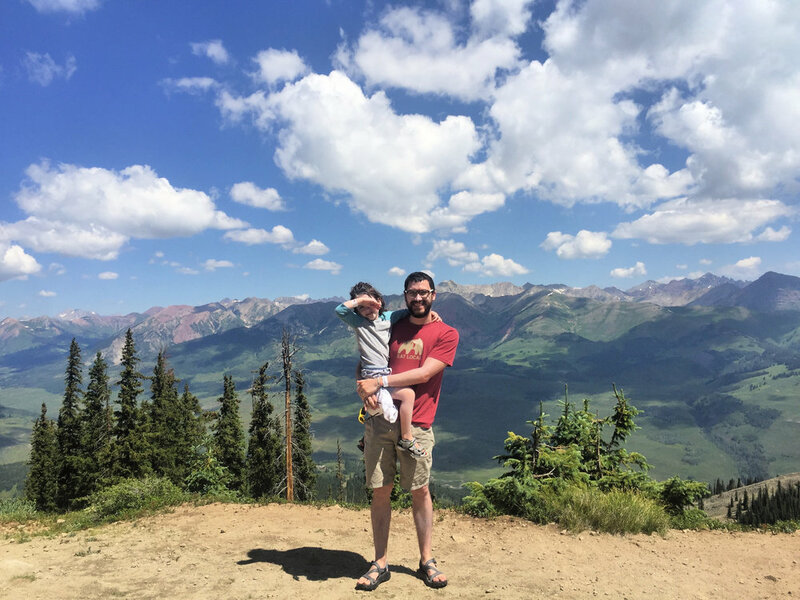 Not to be ignored, these are all activities that we get a LOT of enjoyment out of in our family, and they have the potential to be the highlight of the day. I’m a huge proponent of creativity and imagination. Childhood imagination is just so beautiful and I absolutely love stoking those fires. 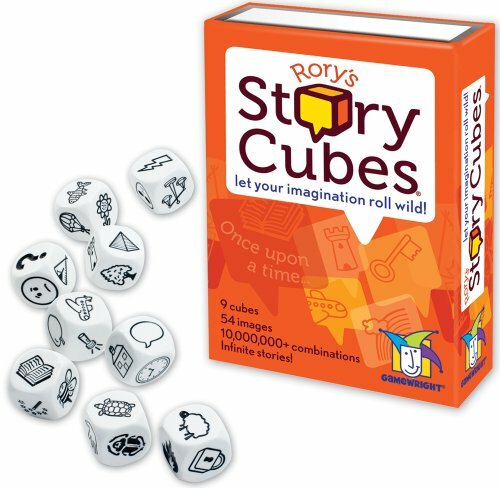 Rory’s Story Cubes is a really simple game with amazing potential. It’s one of those ideas that just immediately strikes you as brilliant. A set of Story Cubes comes with 9 dice with a total of 54 different images. You simply roll the dice and get 9 images. Then you weave those images into a story. You can either tell the whole story yourself, or you can take turns with your friends and family telling a story one image at a time. There are actually lots of ways to play, and many different sets of dice to play with for that matter. My son has long said he wants to be an author and an illustrator, and listening to him tell his creative stories during this game just warms my heart. 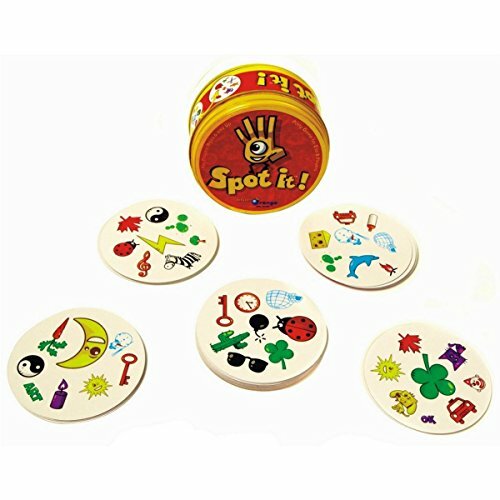 We first played Spot It! when my son and I found it inside a vacation home this year. There are actually many ways to play, but we typically place down 9 cards and shout out images that we see shared on 3 cards, and then we take that set. My 6-year-old and I played a few rounds very competitively, and then my wife joined us and beat us every single time. We then bought our own copy and we just love it. My son can certainly hold his own, but Mom still beats us pretty regularly. Maybe that’s why she likes it so much. Our 2-year-old gets in on the fun by playing by herself. We can just place down several cards and she shouts out images she sees on 2 cards and we give her those 2 cards and she keeps going. For her it’s testing her vocabulary just as much as her image recognition. Another thing that I am a huge proponent of is logic. It’s one of the reasons I love introducing chess to kids and I love doing riddles with my son. From an early age we’ve played games like Clue and Mastermind together, because complex problem solving is so much fun, and the skills of deduction and logic are invaluable. 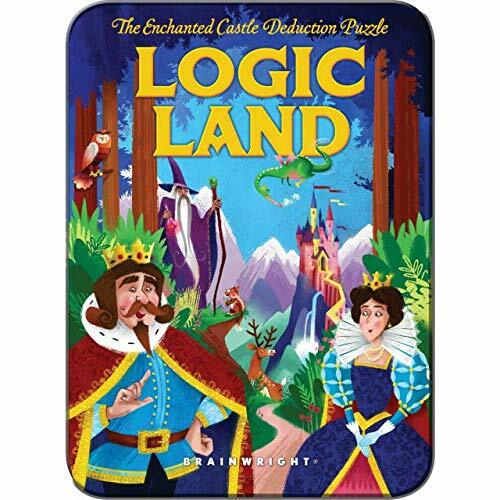 Recently my son received Logic Land as a birthday present, and it was a very pleasant surprise. I didn’t know what to expect as I unwrapped it to see what was inside the metal tin. What I found was a very nice book and a set of attractive magnets. The tin itself had a picture of the inside of a castle and its various rooms. The magnets were various characters - such as king, queen, princess, knight, wizard, etc. We enjoy the fantasy theme, and the design and presentation with the book and the magnets is certainly fantastic - but the real highlight here is, of course, the puzzles. You’re given clues such as “the knight is to the right of the princess” and “the king is above the wizard.” Each puzzle is set up so that the clues are enough for you to place every person into the right room of the castle. My son was hooked after doing one puzzle together on his birthday, and he took it to bedtime with him to do more puzzles with his Mom late into the night. These selections were made with our 2-year-old daughter in mind, but the really great thing about all of these choices is that our 6-year-old honestly still enjoys playing with them just as much as she does. If you have a 2-year-old, you know how important it is to find games for them to join in on with the family. If you dare play games that exclude them - you always run the risk of your little Godzilla knocking over all of the little, intricate pieces of your game. 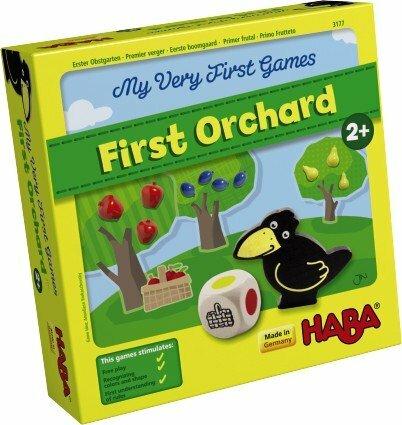 First Orchard by HABA is absolutely the perfect introduction to board games for a little one and the perfect way to finally include them in family game time. In First Orchard you’re trying to harvest all of the fruit before the pesky raven makes it to the orchard and gobbles it up. Roll the dice and harvest the fruit that matches the color. If you get a raven he gets one step closer down the path to the orchard. Part of the magic here is certainly the HABA charm and the wonderful wooden pieces of fruit. The big wooden pieces are kryptonite for your little Godzilla - disarming her power to destroy. Their clumsy little fingers can grab the big wooden apple with ease - and the rules are so simple that our 2-year-old can take her entire turn independently. It’s awesome! What else is pretty awesome is that our 6-year-old very happily plays every time as well. 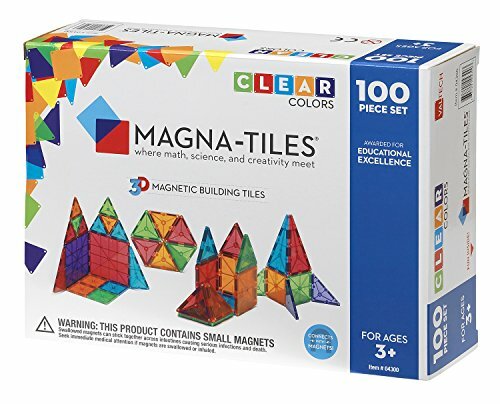 These magnetic tiles have served us so well for so long that we simply must recommend them for the little ones. Once again, older brother still loves these just as much as little sister. You’ll find a pile of them on the floor of the car as well as spread throughout the house. If we go on a road trip, we’ll often take a bucket of them and dump them out on the hotel floor. While you could certainly build buildings or rockets, oftentimes our kids build a giant 2D creation that spreads across the floor. It’s actually pretty relaxing sitting down and sliding the magnetic sides together to try and build a random piece of art, and the fact that it’s really easy for our 2-year-old to build with too makes these guys a real winner. You think your kids like their dolls and their stuffed animals? Just wait until you see how attached they become to their puppets after you give them a voice and a personality. 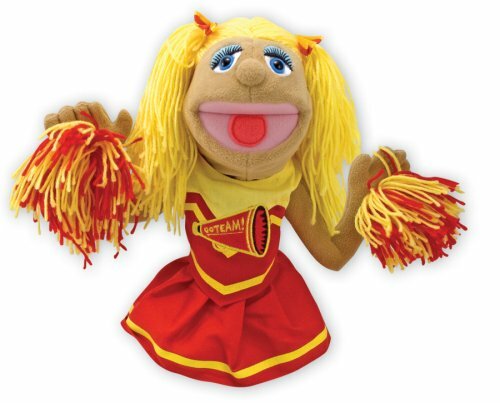 Melissa & Doug makes some wonderful puppets, and the cheerleader pictured here is just one example. The reason I included this randomly specific puppet is because my daughter is absolutely in love with Cheerleader because of the voice and personality I gave her. She wants Cheerleader to come places with her and do things like have a dance party. Not me. Cheerleader. Not Cheerleader detached from my hand, Cheerleader attached to my hand. Always attached. We have a pretty good collection of various hand puppets now and we have a lot of fun with our little ones. I have to say it’s very special to see your 2-year-old put a puppet on her hand and use her imagination to talk to you through its voice. Their imagination is just amazing. Hopefully something from this list might turn into something your own family loves this year. Have you already done any of your shopping? Like I said, these are all things we already own and love - I need some new ideas too! Let me know some of your ideas in the comments! Happy Holidays!